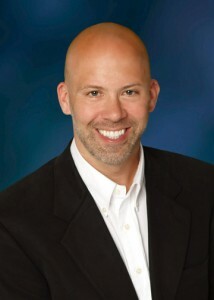 Bruce J. Gruber DC has been a chiropractor for 16 years. He’s had a practice in Gig Harbor for 15 years. 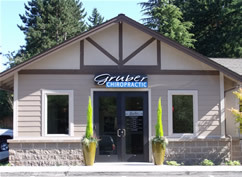 Over time, Dr. Gruber has mastered the techniques of gentle chiropractic spinal manipulation. He takes the time to listen to each patient and develop an individual treatment program for that patient. The treatment techniques for each patient are adapted from visit to visit, depending on the state of their condition in order to maximize progress. Patients come back to see Dr. Gruber because they see improvement. Dr. Gruber received his Bachelor of Science and Doctorate of Chiropractic from Western States Chiropractic University in Portland. Being an avid sports participant (Dr. Gruber enjoys running, cycling, skiing and windsurfing) he has a specific interest in the treatment of sports injuries. Dr. Gruber treats many of the student athletes in the area and is very experienced treating sports injuries. Dr. Gruber is supported by a wonderful team of staff members. The staff helps schedule appointments, provides patients with the necessary documents, keep patient documents organized and on file, call and make appointment confirmation calls and process billing statements. Meet our staff. Have a chiropractic question for Dr. Gruber? Ask it here. Maybe you’re wondering if that pain in your back is worth worrying about. Dr. Gruber will personally answer your questions by email, often within 1 business day.